Like many Americans, I watched all 18 hours of the Ken Burns/Lynn Novick documentary The Vietnam War. Many have commented on the PBS program, so I won’t try to evaluate it here. 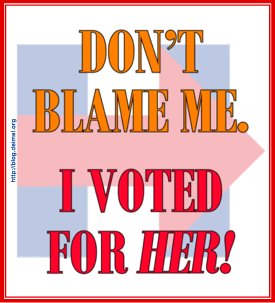 Instead, I offer some very personal observations. I lived through all of America’s involvement in Vietnam, so much of what I saw was familiar. Like any good documentary, The Vietnam War clarified chronology and, to a degree, motivations. I didn’t learn a lot, but there were revelatory moments. I didn’t know how much we had helped the French. I didn’t know that Lyndon Johnson knew before the election that Richard Nixon had discouraged Vietnam from participating in peace talks. I didn’t know much about post-war Vietnam. I was happy to have watched The Vietnam War, but I felt like I was getting my life back when it was over, having been relieved of so much obligatory TV viewing. This picture was taken by Eddie Adams in Saigon on February 1, 1968, the second day of North Vietnam’s Tet offensive. 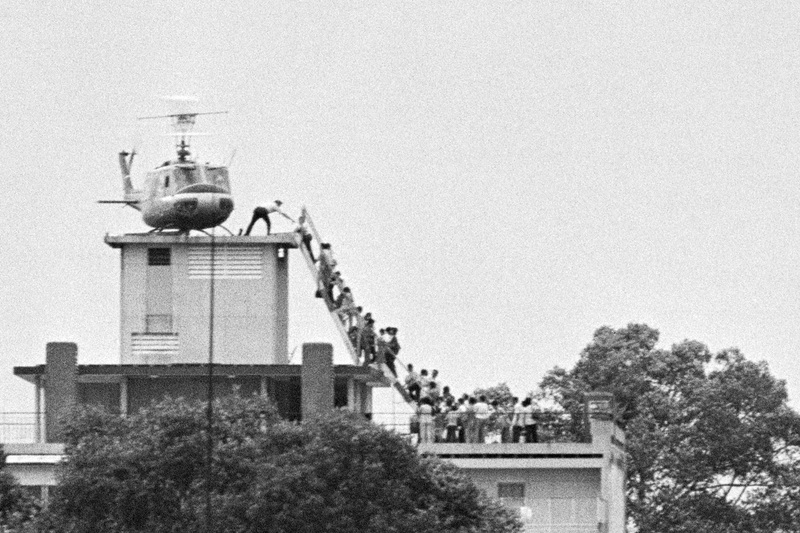 It captures the summary execution of ­Nguyễn Văn Lém by Brigadier General Nguyễn Ngoc Loan, chief of the South Vietnam police. Adams had not anticipated that Loan would pull out his .38-caliber pistol and shoot Lém through the head. Lém was a Vietcong prisoner who allegedly had led a squad of Vietcong that had killed the family of a friend of Loan’s. 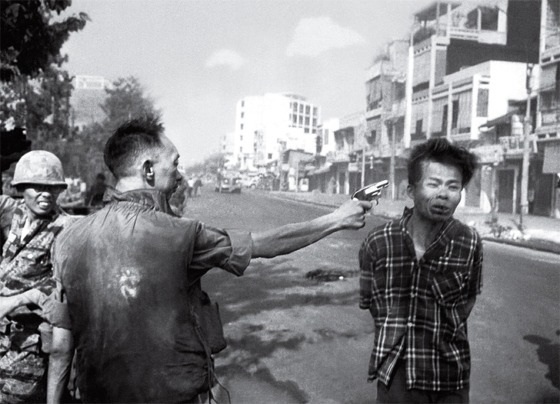 The photograph, which won a Pulitzer Prize, emphasized the brutality and lawlessness of the Vietnam conflict. This photograph was disturbing is a way that not even pictures of the war itself were. 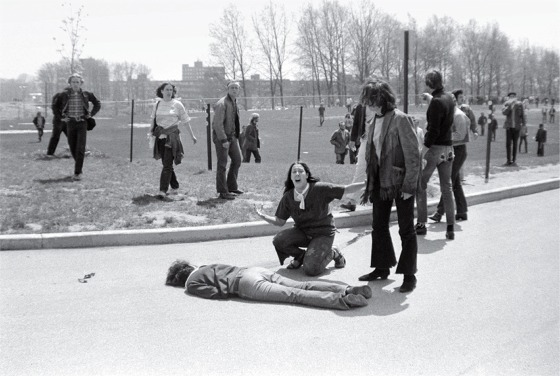 It was not taken in Saigon, but in Kent, Ohio, by photojournalist student John Paul Filo. The date was May 4, 1970. National Guard troops had been called to the campus of Kent State University, site of student protests against the Vietnam War. Ostensibly, the troops were there to disperse protesters. It is unclear why they carried loaded rifles and even less clear why they fired on unarmed students, killing four and wounding 9. Filo’s photo shows 14-year-old runaway Mary Ann Vecchio kneeling over the slain 20-year-old Jeffrey Miller. This photo, cropped and edited—the fence post over Vecchio’s head was removed—also won a Pulitzer Prize. John Filo brought the increasingly unpopular war home to the United States and raised questions of free speech and assembly under the Nixon administration. Long before anyone in the government was willing to admit it, it was clear that the United States and South Vietnam could not win the war in Vietnam. The U.S. turned the war over to the South Vietnamese not really believing that the South could hold against the North. The situation was even worse than we believed, however, and the U.S. embassy was caught off guard when, on April 29, 1975, North Vietnamese soldiers were about to overrun Saigon. A chaotic evacuation of the embassy and of Vietnamese who had worked with the Americans was quickly arranged. The above photograph shows an Air America (i.e., CIA) helicopter taking evacuees to safety on waiting American ships. An expensive, ill-conceived, and insincere war had come to an end, but other such wars would follow. 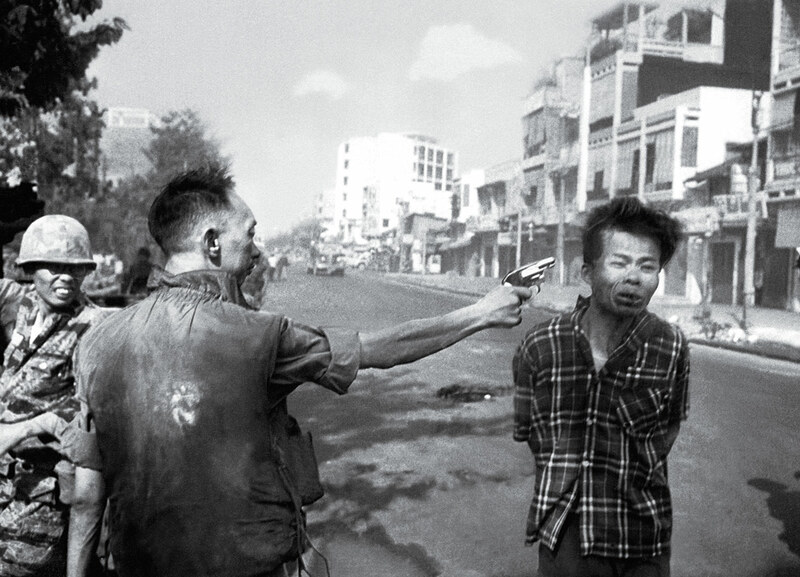 Are these the photographs you remember from the Vietnam War? I didn't know about veitnam war history in such great detail.I really don't like war and I think no one else does.It only brings destruction for all.